I had a chance to see some people preparing vegetarian food yesterday and I was really curious. There was a dish that looked very familiar to me so I asked a woman about it. She was very nice to tell me how to cook it and said that I should try at home – it is very easy – she promised me. The butcher was quite surprised when she asked me to buy some meat but I said that I would take a vegetarian meal. My roommate looked at me with her worried eyes because she knows how my trial could be – sometimes, yes, it’s just sometimes. Finally she could smile and enjoyed her dinner. You know what? She said that next time I should cook more. – Wash pepper leaves then put them in a basket to dry. Pick some leaves and slice them into small pieces – put in a bowl. -Put all Jew's ear and shiitake mushroom into a pot of hot water for 10 minutes. -Chop bulbs of onions, green onions, Jew’s ear and Shiitake mushroom into very small pieces – put them in the bowl. -Grind tofu, put it into the bowl, too – add salt and mix all. 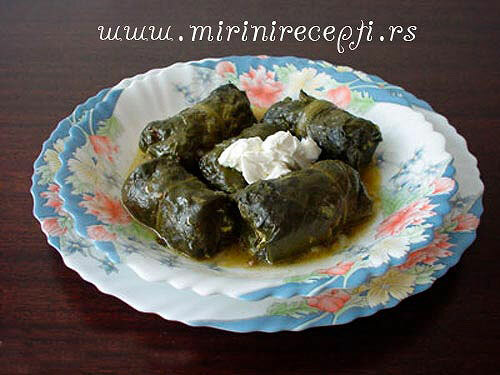 -Put a piece of that mixture on a top of a pepper leaf and roll it and so on. – Heat your pan, put oil (not too much) and fry all rolls until they get crisp. Pick them out and you can enjoy now. You can eat them with rice and boiled vegetables or whatever you want. This entry was posted in Trivial things and tagged cooking, Food. Bookmark the permalink. Is it possible to exchange the tofu with meat? looks and sounds really good, Mit- I've never used pepper leaves before. yes, I should- what sort of peppers are the leaves from? Except for the mushrooms, it sounds delicious. I'm not sure I'd be able to find the leaves here but could possible use grape leaves like in Greek cooking.